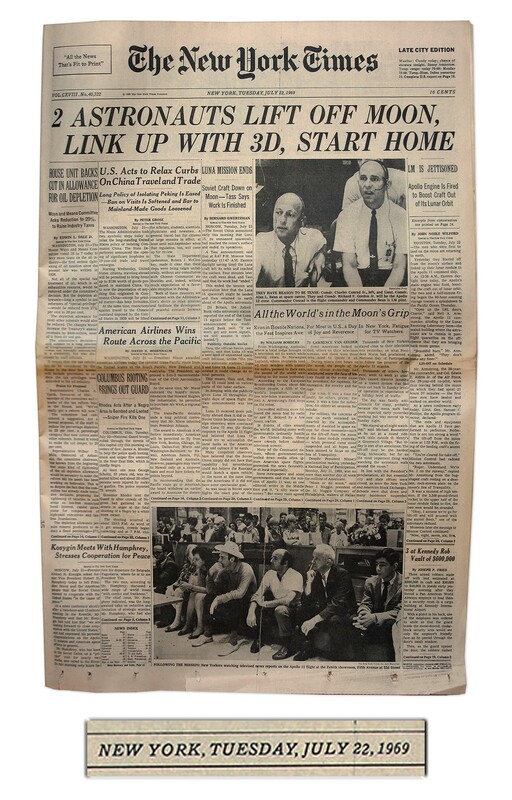 ''The New York Times'' from 22 July 1969, reporting on the return journey from Apollo 11's moon landing mission. The headline reads, ''2 Astronauts Lift off Moon, Link up With 3d, Start Home''. Sub-headline reads ''All the World's in the Moon's Grip''. Complete 80pp. 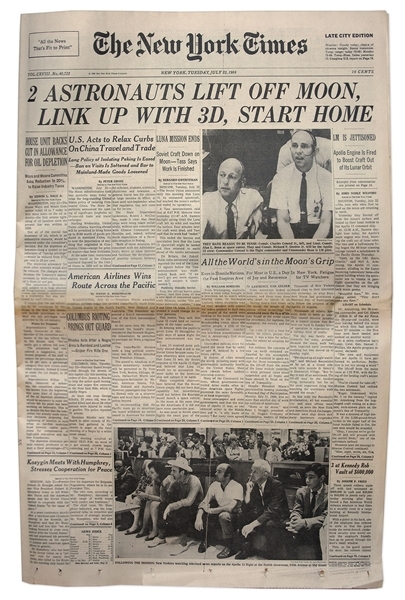 paper measures 11.75'' x 22''. Very good to near fine condition.